between dogs and their humans since 2001. Her philosophy is harness your dog’s energy to unleash their greatest potential and your own. Never feeling right about choking dogs and unsuspecting puppies to train them, Alecia invented The Walk In Sync™ Humane Dog Walking and Training System as the gold standard of training tools in order to end the choking and pain caused to dogs during training and walking. 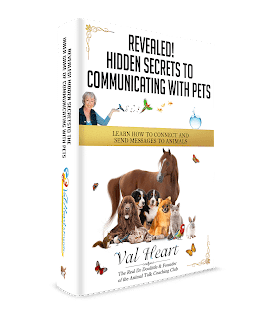 As the former host of the award winning GrassRoots Aspen TV Series, The Whole Animal- An Alternative Approach to Animal Care, Alecia takes a natural approach to dog training and health care. Her work has been featured on: Fox and Friends, The Sandra Glosser Show, NY 1, and in Aspen Magazine, Dogtipper.com, The New York Daily News and Woof Report and has been interviewed on numerous radio programs around the country. She is the training expert for Dogtipper.com and Only Natural Pet Store. Alecia believes prevention and proper education about the best training methods and tools will begin to limit the number of dogs given up for adoption due to behavior issues. The Miracle Solution That Ends Pulling in Minutes and Allows You to Train Without Choking Your Dog. if you are interested in training your puppy in the gentlest manner that really works and will never choke your puppy, her patented training tools and Walk In Sync™ 3 Easy Steps make it a breeze. They have done their research and have put hundreds of dogs through their: Walk In Sync™ 5 Minute Manners Makeover (see our Videos) and they are unleashing the world’s easiest and most humane dog walking and training system. Collars, Choke Chains and Shock Collars are potentially harmful. With the Walk In Sync™ Dog Walking and Training System you will teach your dog to harness their energy in order to release your dog or puppy’s greatest potential in minutes while keeping your dog safe and pain-free. Dr Don Moore – Testimonial from Alecia Evans on Vimeo. I was so impressed, I had to interview Alecia for the Dr. Doolittle Show and I’m sure you’ll love her as much as I did. How training dogs with flat, pinch or prong collars around their neck or nose can cause serious problems. Why using old technology dog collars often make dog training dangerous. What made Alecia invent the Walk In Sync™ System. What the scientific basis for this system is and why it is more effective for dogs and pups and their people. How traditional training methods cause dogs to become aggressive and fearful. We need to upgrade the tools we use to train our dogs and puppies. Although we have been taught for the last 60 years that training your dog by any apparatus around their neck or nose is ok, perhaps we need to rethink how these tools have been failing them. Alecia made a very special offer of a 10% Discount just for my listeners, see below for details. Walk In Sync NO CHOKE Dog Collar?